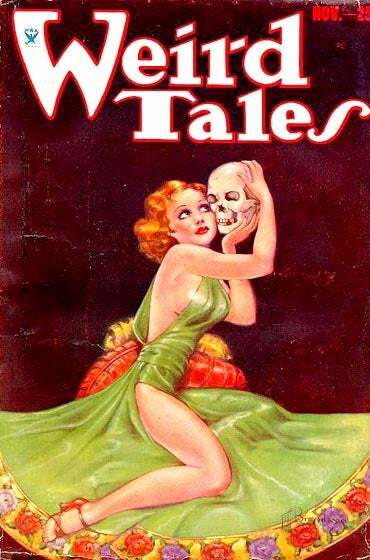 The Merril Collection of Science Fiction, Speculation and Fantasy hosts a yearly show and sale of vintage pulp magazines and other out of print material. Vendors come from Canada and US for this event. A goldmine for collectors of pulp magazines and vintage paperbacks, like Ace Doubles. Pass the word if you know of a collector. In addition to the vendor room on the program level, there will be a lavishly illustrated presentation on pulp magazines, which is held in the reading room of the Merril Collection, on the third floor, at 1:30. The Merril Collection staff will run two stack tours, morning and afternoon, for anyone interested in seeing some of the rare and unique material that is in the Collection. The event is held at the Lillian Smith Branch of the Toronto Public Library, 239 College St., Toronto, in the lower level program room. This is the same weekend as TCAF (Toronto Comics Arts Festival) at the Toronto Reference Library, 789 Yonge St., so if you are going to TCAF, you might consider swinging down to the Merril Collection for the Pulp Show too.